In a surprising twist, older consumers plan on doing more shopping online this holiday season than younger consumers and lower-middle class households plan on doing the most online shopping, according to a new study of consumer holiday online shopping plans from Velaro, a leading provider of Live Chat software. In a unique survey of 10,012 consumers, 53 percent of respondents plan on doing at least 25 percent of their holiday shopping online with the older demographic (ages 55-64) planning on doing the most holiday shopping on the web. As we head into the busiest season for online retailers, we want to provide key insights that will help inform their marketing and promotional strategies, said Jeff Mason, Vice President of Marketing, Velaro. Our intention is to provide the right data that will help our online retailer clients achieve maximum sales during the holiday season. The youngest shoppers age 18-24 (and presumably most tech savvy group) plan to do the least amount of holiday shopping online when compared to their older counterparts. 20 percent of shoppers ages 55-64 and will do some portion of their holiday shopping online. This is the highest percentage from any age group, followed closely by shoppers age 45-54 (19 percent). 53.53 percent of respondents intend to do at least 25 percent of their holiday shopping online. The higher the annual income of a user or family, the less likely they are to plan for online holiday shopping. Lower middle class users with income of $ 25,000-$ 49,000 are planning to do the most online shopping. Consumers who live in suburban neighborhoods plan on doing the most holiday shopping online, while consumers in both urban and suburban areas plan to do up to 100 percent of their holiday shopping online. Based on the findings of this study, marketers are presented with a unique opportunity to develop promotional offerings for this older demographic, which tends to buy gifts for their children and grandchildren, added Mason. Develop early online deals targeted to shoppers ages 45-64, which is the group planning in doing the most online shopping. Products intended for the 18-24 year old demographic may be more successful when targeting their parents in the 45-64 year old age group for online sales. Marketing online deals to the traditional 18-44 demographic may produce fewer results than expected. For a full copy of the survey, performed via Google Consumer Surveys, please contact Matt Langan: matt(at)landrcomm(dot)com. Founded in 2000, Velaro is an established leader in click-to-chat, click-to-call, and intelligent engagement. Velaro won independently rated live chat software awards in '05, '06, '08, '09, '10 and 2011. With 99.98% uptime guaranteed, companies currently benefiting from Velaro's live chat solutions include Dell, Pfizer, GM, LG Electronics, Blue Cross Blue Shield, HTC, Lillian Vernon, MarketStar, and Experian. Visit http://www.velaro.com for more information. Here is another weekly how-to dispatch from ETech 7 Inc. This time, the tips come from our team in charge of networking and IT support. The topic: how to pick the best IT service plans. There is no shortage of IT services providers out there and finding the right one be challenging. Here are some points to consider before hitting the virtual pavement. You dont need an MBA to know that time is money. And downtime means rapidly mounting lossloss of customer records, transaction data, and, well, you get the point. So when browsing IT service plans look for, first and foremost, lightning-fast customer response time. If the hold for the next available representative announcement lasts longer than the time it takes to resolve the issue, move on. When it comes to emergencies, a worthy IT services provider must respond swiftly. This can mean the difference between a minor inconvenience and a major loss. When shopping for an IT plan, dont be shy about asking service reps questions about their hi-tech background and relevant experience. Remember, this is your precious business data. It should be handled aptly and by professionals, not unpaid summer interns. So ask about the minimum level of training the service personnel are required to undergo; find out about the companys networking, IT and other industry certifications. Ask them to walk you through the steps to full data restoration in case there is an accidental loss or emergency. Finally, be sure to read testimonials, and if possible, contact existing customers. You get what you pay for. However, more expensive isnt always better. If one IT service plan costs more than others, find out what the price premium buys in terms of actual management, backup, recovery or other solutions. Whats more, every business is different. An IT plan might include DNS upgradesomething you may not need if you already have a live website. Create an outline of all the IT services that meet your companys unique profile and budget accordingly. 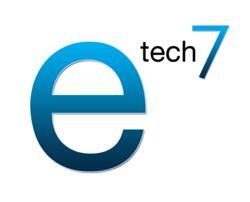 ETech 7 Inc. is a technology services leader offering data backup and recovery, web development, networking solutions, search engine optimization and social media management. Please visit ETech7.com or contact (212) 997-1202 for more information. 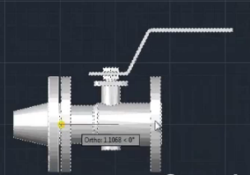 With the age of CAD (Computer Aided Drafting), piping plans can be easily designed and drawn using pre-drawn piping symbols. Today piping layouts are usually created using Piping Symbol Libraries. Alternatively other more advance piping programs are available that create these pipe fittings as needed using menu systems and dialogs. Many use the latest ANSI/AWWA or similar specifications so that they are drawn with accuracy. Piping systems are typically used to transport fluids from one location to another. Pipe systems are used in various industries such as chemical, energy and food. "In order to creating a piping layout, the CAD user will need a set of Piping Symbols drawn to manufacturers specifications" says Erik Zetterberg owner of SimpleCAD. "Using a good library or piping utility in combination with a good knowledge of what connections work best, the draftsperson can more easily design and draw the pipe system." Here are the 6 basic pipe fittings you need to know while designing or drawing a pipe plan. Clean Energy Alliance, Inc., the national association of clean energy business incubators, announced today that one of the companies supported in the Department of Energy Small Business and Clean Energy Alliance Partnership won the first annual Department of Energys National Clean Energy Business Plan Competition. NuMat Technologies, mentored by CEA member Clean Energy Trust as part of the DOE-CEA Partnership, won $ 100,000 and a package of support services from the National Renewal Energy Laboratory (NREL, a founder of CEA), CleanLaunch (a CEA member), Mintz Levin & ML Strategies, Battelle Ventures, and the Cleantech Open. The National Clean Energy Business Plan Competition was open to technologies developed at U.S. universities and the National Laboratories, led by students, and nearly 300 teams entered from around the country. The final presentations were the culmination of six regional competitions that were organized by California Institute of Technology, University of Colorado (Boulder), Clean Energy Trust, Rice University, University of Maryland, and Massachusetts Institute of Technology. The award was presented on Wednesday, June 13th at the White House by Deputy Secretary of Energy Daniel Poneman. We are very proud that the DOE National Business Plan winner is a company that has been mentored by one of CEAs talented incubators, and I am delighted to congratulate NuMat and Clean Energy Trust, said James F. Groelinger, Executive Director of the Clean Energy Alliance. Clean Energy Trust clearly did a terrific job working with the talented NuMat team, who obviously worked very hard and integrated CETs advice into their strategies and presentations. While this is clearly a win for NuMat, its also a win for CET and the incubation process. "NuMat has that special combination of talent, technology and tenacity that is required to solve some of our nation's most pressing energy problems. We are thrilled that they won this prestigious competition!" said Amy Francetic, Executive Director of the Clean Energy Trust. They are proof that the Midwest is home to clean energy innovators, and they are role models for other inventors and students striving to build companies that really matter." "We are really excited by this win and honored to have been able to represent Northwestern University and Midwestern entrepreneurship!" said Christopher Wilmer, CTO of NuMat Technologies. "This incredible win is still sinking in, but we are really excited to push forward and bring our gas storage technology to market. We're very grateful to the Department of Energy for sponsoring the competition and to the judges for their invaluable feedback. We are also indebted to the CET for their constant support, and the DOE-CEA Partnership for providing critical mentorship that made all the difference." CEA was also a sponsor of the Competition finals. The Clean Energy Alliance (CEA), a non-profit organization founded by National Renewable Energy Laboratories, is the national association of leading business incubators and other entities dedicated to providing technical, business and financial services tailored to the needs of the cleantech business development community. CEA focuses on developing practices and resources that support cleantech business incubation, entrepreneurial mentoring and development, and technology commercialization. http://www.cleanenergyalliance.com. A new national survey of businesses released today offers 2012 college graduates promising news: 70% of businesses plan to hire 2012 graduates in the coming year, with only 11% of those companies saying that they plan to hire less graduates than they did in 2011. In addition, companies are optimistic about economic conditions, as only 15% say conditions are worse than they were 6 months ago and only 9% expect conditions to be worse in 6 months. The survey, which was released by the Academy of Art University and CALinnovates, was released at the Academy of Arts Annual Spring Show, where hundreds of business executives convene on campus to meet with students about potential job opportunities and review their portfolios of work. 70% of respondents say their companies are planning to hire new graduates in the coming year and among those hiring, 26% plan to hire more than last year. 21% of respondents say their companies will hire more than 10 new graduates, and another 11% will hire 5-10 new graduates. Only 11% say they will hire fewer recent graduates this year than last. 55% of respondents are optimistic about the future of conditions in their industries. Another 37% say they expect economic conditions to be the same, and only 9% expect conditions to be worse. Only 15% of businesses say conditions in their industries are worse than six months ago. 42% of business executives report that economic conditions are better while 43% say conditions are the same as six months ago. One third of respondents (32%) say they find creative ability extremely valuable, and another 48% consider creative ability as a somewhat valuable quality in potential new employees. Over three quarters of employers consider collaborative team experience as valuable in new employees (33% consider it an extremely valuable skill). EMC Research conducted the national survey of C-level executives, management and supervisor-level representatives of companies from a wide selection of industries around the country. Businesses are ready to hire, and that is promising news for the class of 2012, said Dr. Elisa Stephens, President of Academy of Art University. Todays job market is extremely competitive, as companies have many great candidates to choose from and are looking for graduates with hands-on experience and the skills to come in and contribute on day one. That is the heart of the Academy of Arts curriculum, and we are very excited about the opportunities that are available for the class of 2012. 86% of respondents report that their companies plan to hire new graduates in the coming year. Among the companies hiring new graduates, 64% plan to hire more new graduates than last year. 64% of Bay Area company respondents report that economic conditions in their industry are better than they were six months ago. In addition, 58% think that their industrys economy will be better six months from now. Creative ability is considered extremely valuable by 41% of respondents, and another 50% consider it somewhat valuable (total 91% valuable). 70% of companies are likely to hire job-seekers with education or background in Web design (33% very likely and 36% somewhat) and 55% are likely to hire those with education or background in graphic design (27% very likely and 28% somewhat). 97% of companies that are directly involved in the arts are likely to hire employees with an arts background and 67% of Bay Area companies that are not involved in the arts say they are likely to hire full-time employees or consultants with arts backgrounds or education. "The Bay Area is the world's leading innovation economy," said Mike Montgomery, executive director of CALinnovates. "It's not by accident that innovation, quality higher education institutions and economic opportunity have clustered here in the Bay Area. To tap into the potential of all this region has to offer, our workforce needs a 21st century education to compete in the 21st digital economy." To receive a copy of the full report, please contact Lisa Cohen at lisa(at)lisacohen(dot)org. 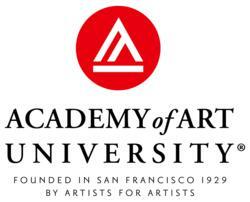 Executives from some of the most innovative companies in the world, including Zynga, Cartoon Network, Pixar, Apple, Lucasfilm, DreamWorks, and Electronic Arts, will be in San Francisco attending the Academy of Art Spring Show throughout the day on May 23 -- as well as students and instructors and they are available to share their reactions to the data. Responses to the survey were collected from May 8 through 10, 2012. A total of 307 U.S. employers completed the national survey. For more information, contact Lisa Cohen at 310-395-2544. Q1Medicare.com has updated their Medicare Part D Formulary Browser with the latest prescription drug plan formulary data made available from the Centers for Medicare and Medicaid Services (CMS). Since January, the updated data includes the addition of over 70 medications and the deletion of 16 medications that impact all Medicare Part D prescription drug plans. The most recent released June formulary changes include the addition of 20 new medications. A detailed summary of the recent formulary changes impacting all Medicare Part D plans, along with corresponding links to specific formularies can be found within the Q1Medicare.com/Blog. In addition to the major additions and deletions to all Medicare Part D plans, most Medicare Part D plans have adjusted their drug lists with the addition of new medications, removal of medications, changes to drug cost-sharing tiers, and changes to specific drug usage management requirements. For example, since the beginning of 2012, over 250 formularies now include the newly introduced generic medication atorvastatin. To review a specific Medicare plans prescription coverage, Q1Medicare site users can access any stand-alone Medicare Part D prescription drug plan or Medicare Advantage plan formulary by using the Formulary Browser found at Q1Medicare.com/FormularyBrowser. The Q1Medicare.com Formulary Browser is designed so the Medicare community can quickly find a Medicare Part D plans drug list by just selecting the state or entering a ZIP Code, the name of the Medicare Part D plan carrier, and then selecting the name of the specific Medicare plan. Once a Medicare plan is selected, the user can then browse alphabetically for a specific medication. The Formulary Browser provides search results in a chart with the medication drug strengths and packaging; formulary drug tier details; preferred pharmacy and mail-order cost-sharing or co-payment amounts; and drug usage management restrictions. The formulary information also includes details about the Medicare prescription drug plans monthly premiums, initial deductible and whether the plan qualifies for the state-specific Low Income Subsidy $ 0 monthly premium. Pharmacists, prescribers, and healthcare professionals can also access Medicare prescription drug plan formularies by selecting the PlanID tab and search by plan Contract/Plan IDs or by selecting the FormularyID search tab and entering the plans unique eight-digit Formulary ID. As a convenience, both the Contract/Plan ID and the Formulary ID search results will return the geographical service area for the chosen Medicare plan along with the Medicare plans formulary details and the actual Medicare plan features. We developed our Formulary Browser so people could quickly see the details for the prescription drugs covered by a specific Medicare Part D plan, notes Dr. Susan Johnson, Technical Director and co-founder of Q1Group LLC. Aside from our recent drug data update, we have also enhanced our Formulary Browser by linking it with our Drug Finder so that with one click, users can see how all Medicare plans in the area cover a particular medication. The Q1Medicare Formulary Browser and Drug Finder are both available at no cost and designed for computer, smartphone and tablet platforms. The results of the Formulary Browser and Drug Finder are also formatted to be printed for offline use. Q1Medicare.com is one of the largest independent online resources for Medicare Part D prescription drug plan and Medicare Advantage plan information. Q1Medicare offers a large selection of Frequently Asked Questions, online tools, and a free Medicare Part D Newsletter all designed to help Medicare beneficiaries, healthcare professionals, advocates, advisers, caregivers, and insurance agents better understand both the Medicare Part D prescription drug and Medicare Advantage programs. Q1Medicare.com is operated by Q1Group LLC (Saint Augustine, Florida). After sifting through dozens of applications, the Knoxville Chamber, The Development Corporation of Knox County, and Tech 20/20 are proud to present this years finalists in the Whats the Big Idea!? Business Plan Competition. The competition is sponsored by Rodefer Moss & Company and Oak Ridge National Laboratory. Throughout this competition, judges have come away very impressed not only with the innovative ideas each competitor brought to the table, but also their dedication throughout a series of workshops focused on helping them build a business and get their product to market, Todd Napier, executive vice president of The Development Corporation said. Were excited to see it all come together June 14 and help catapult one of these big ideas forward. The organizers of the Monterey Bay Regional Business Plan Competition (http://www.MBRCompetition.com) today announced the launch of the 2012 Competition to be held on Friday, May 4th, 2012 at the Monterey Institute of International Studies (MIIS), with Congressman Sam Farr presenting the award to the final winner. All start-ups that can show how they will create jobs in the tri-county area are welcome to apply. The Monterey Bay Regional Business Plan Competition has the support of more than 50 business, education and government partners from the tri-county region that are united to showcase the business potential of the area; support regional start-ups; attract business and investors to the region; encourage business students to become entrepreneurs; and promote tech transfer, innovation and commercialization. The competition begins with workshops throughout the region during February, with one-page applications due on February 27th, and culminates with a presentation event and the final event on May 4th. Prizes range from $ 1,000 cash for the winning student team, to $ 5,000 cash for the winning main-street company, to $ 50,000 in cash and professional services for the winning venture-play company. A main-street company is defined as one that will be a successful local or regional business creating jobs in the tri-county area, but is not scalable to return 10 times the investors money in three to five years. Workshops held across the region designed to give applicants a head start on the application process. One-page applications are due by 5:00 p.m.
Fever Pitch mandatory event; preliminary screening of applications at California State University, Monterey Bay (CSUMB). This year all applicants will have another round of reviews during a screening event held Friday, March 9th at CSUMB. Applicants will have five minutes to present their business idea and answer questions from a panel of judges. Then, semifinalists will be chosen to move on in the competition and will be required to complete full business plans and compete in the final event on May 4th. Semifinalists must submit their complete business plan by 5:00 p.m.
Forum Event Live presentations of finalists and winners announced at the Monterey Institute of International Studies (MIIS). During the May 4th event, finalists will present to panels of angel investors, private investors, successful entrepreneurs, regional CEOs and venture capitalists from groups like the Band of Angels, DLA Piper and Wavepoint Venture Capital. Congressman Sam Farr and Elizabeth Echols, the SBA Region IX Administrator are confirmed as speakers for the final event. Partners involved in the planning and implementation of the competition include CSUMB School of Business Professor, Dr. Brad Barbeau; Head of the GLOBE Center at the MIIS, Dr. Ernest Scalberg; Monterey County Weekly Publisher, Erik Cushman; angel investors, Dr. Rock Clapper of the Band of Angels, Chuck Boggs from the Paladin Venture Development, and Damon Danielson of Pebble Beach Partners; Susan and Alan Barich from Barich Business Services; Mark Peterson of Peterson Communications; and Chris Khan of Khan-Bernier. The competition is about more than just winning; it is about the whole process of providing a network of support for innovation and entrepreneurship that connects our region. The competition was such a fun success over the past few years. This year we continue to have main-street and student tracks, as well as a special category for agricultural technologies. We also have a more attention from service providers in the San Francisco Bay Area like DLA Piper, the largest law firm in the world, and White Summers of Redwood City, a law firm specializing in early-stage technology companies, both of which are supporting us for the second year in a row. Many large technology companies, including Seagate, Plantronics, Digital Research, SCO and Borland, started here in our region. We have a history of success, and we can attract Silicon Valley start-ups to create jobs in our beautiful corner of the world. Winning the Monterey Bay Regional Business Plan Competition provided great exposure for our company, PeopleTowels; opening doors to many resources and individuals in the community. Of particular value to me were the pitch sessions to the judges and investors. Multi-Tech Systems, a global manufacturer of external and embedded modems for M2M(machine-to-machine) communications, announced today that it is expanding its Extended Warranty Service Plan to now include its Canadian and International customers, giving them the flexibility to lengthen the standard warranty coverage for up to 5 years and the option for preferred repair service. The plan is aimed at protecting customers’ investments over the long term to maximize equipment reliability. In addition, customers get quick access to a technical support help desk staffed by industry experts with an average tenure of more than ten years. Additional support options are slated to be released to International customers later this year. “We understand that all of our customers have unique needs. Most would agree that reducing total cost of ownership is important as well as increasing up-time. This program does both – and gives customers the flexibility to satisfy their own specific support requirements,” said Jim Cairns, Multi-Tech’s Vice President of Marketing and Business Development. Additional information on the Extended Warranty can be found at: http://www.multitech.com/es.go. Multi-Tech® Systems is a global manufacturer of award-winning device and embedded modems and Unified Communications products that connect data over cellular networks from anywhere in the world. As a leader in the industry for almost 40 years, Multi-Tech’s reputation for reliability and innovative design is evident with 80+ patents, 20+ million devices being used by thousands of customers worldwide and certifications from more than 30 carriers and over 80 countries. Multi-Tech is certified by the WBENC as a Women’s Business Enterprise and by C-TPAT (Customs–Trade Partnership Against Terrorism). Visit multitech.com. Expect emerging cellular/VoWLAN phones to displace a wide array of other handsets, according to InfoTech’s new study on enterprise planning around converged voice devices. In Dual-Mode Cellular/VoWLAN Solutions: Enterprise Preferences and Plans, 71% of U.S. respondent companies and 95% of EMEA interviewees predict a dual-mode phone will displace at least one other type of handset. Besides the basic cellphone, employees’ traditional desk sets will suffer the strongest cannibalization effect. But the story doesn’t end there. IP desk phone, WLAN-only phone and smartphone purchases will all take a hit. IP desk sets are expected to be more negatively impacted in the United States, while smartphone deployments will suffer in a higher proportion of EMEA companies. The cellular/VoWLAN device also is expected to cannibalize a segment of softphone software purchases in both regions. For more information on the IEM program and the Dual-Mode Cellular/VoWLAN Solutions report, please visit http://www.telecomweb.com/marketresearch/enterprisemobility/ or contact Craig Born, 973/602-0123. InfoTech, part of The Telecom Intelligence Group, publishes a series of 10 reports per year on enterprise mobile communications as part of its InfoTrack for Enterprise Mobility program. Its just-released report, Dual-Mode Cellular/VoWLAN Solutions: Enterprise Preferences and Plans, examines current enterprise thinking around emerging cellular/VoWLAN communications solutions. It also analyzes resulting impacts on the single-mode WLAN-only phone as its dual-mode counterpart enters the market. The Telecom Intelligence Group includes market-intelligence provider InfoTech; TelecomWeb and TelecomWeb news break; newsletters Wireless Business Forecast, Broadband Business Forecast, Telecom Policy Report and Inside Digital TV; tariff consultancy Tarifica; and the Web-based business telephony product database TelecomTactics. For more information on The Telecom Intelligence Group products and services, please visit http://www.TelecomWeb.com.